Did you know that search is the number one driver of web traffic? That means that if you really want to attract more visitors to your weekly church service, you need to optimize your website for search engines. Because even church websites need an SEO strategy. That’s why we’ve compiled a list of our top five SEO strategies. Keep reading for the inside scoop! The appearance of your church’s website is almost as important as the appearance of the church itself when it comes to attracting visitors. 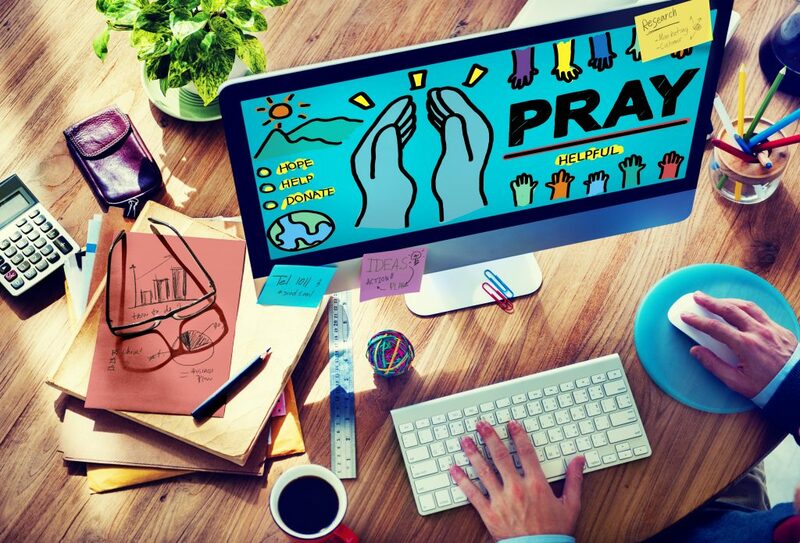 Potential churchgoers may be put off by a poorly designed or disorganized website. On top of that, your site may not be showing up on SERPs if you haven’t paid careful attention to the design. Create a site that is easy to navigate and filled with SEO-friendly content. Invest in a professional web designer’s services, purchase quality graphics, or try some of our other website design tips. Although fellowship and meaningful worship services are what keep people coming back to church, the truth is, many people will initially choose a church based on convenience. That’s why it’s essential that church websites don’t neglect local SEO! Google reports that search interest in results “near me” has increased 34 times since 2011. So now more than ever, it’s important to make sure you’re showing up on local SERPs. An easy way to boost your local SEO is by claiming your business on Google. Make sure you add relevant info to your listing, like service hours, address, and contact info. This will help drive even more local traffic to your website, and hopefully, to your church. A big factor in your website’s success is how easy it is for search engine bots to crawl your site. Making your website friendly to bots is a vital part of any SEO plan, However, it’s one many people neglect. The reason for this is many people don’t think they have the know-how to tackle technical SEO. The very idea of optimizing website structure strikes fear in their hearts. However, with some patience and basic research, even the technologically challenged can get their site to start ranking. Alternatively, you can hire a professional to deal with the technical side of things. If people have to wait more than a few seconds for a page to load, there’s a good chance they’ll get impatient and give up. There goes a potential church member. To make sure this doesn’t happen to you, compress your media files, including images and videos. Bonus tip: Using YouTube for video embeds of sermons and live recordings will instantly make your site more SEO-friendly. Your web hosting choice will impact your site’s speed, uptime, and other factors. These, in turn, affect your website’s SEO. That’s why it’s essential that you choose wisely. A quality web host also means a secure one. This protects both you and your visitors. Our mission at Christian Web Host is to provide the best web hosting while maintaining our Christian quality of service. Contact us today! 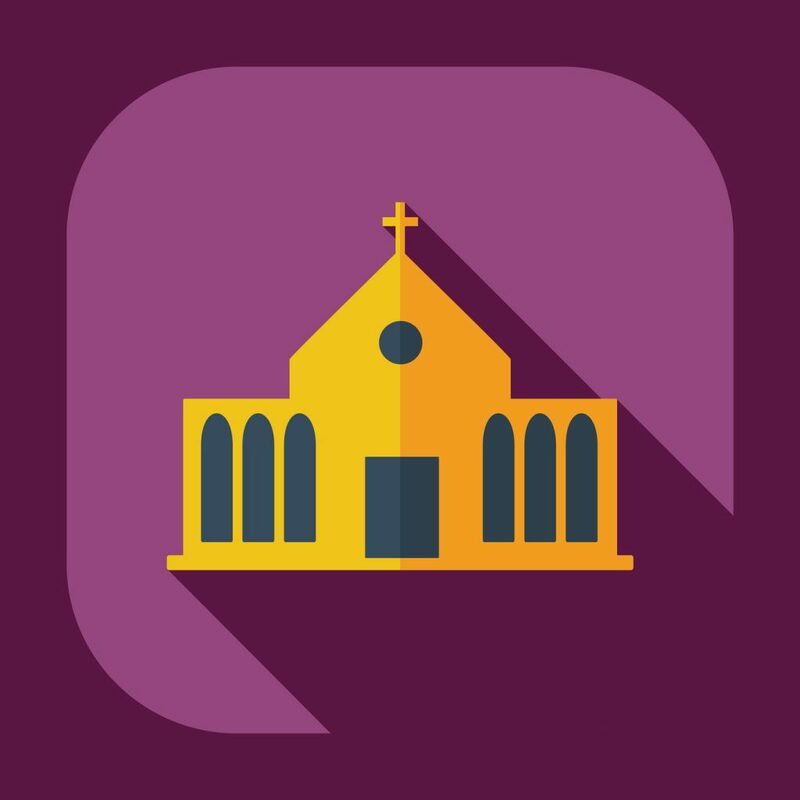 A recent study conducted by the Pew Research Center found that almost half of all adults have searched for a new congregation at some point in their lives. Maybe they’re looking for a new sermon, or have recently moved to town, or are hoping to find a new church to attend with a loved one. Whatever the reason, more would-be congregants are turning to the Internet to discover the perfect church for them. If you want to make sure you’re capturing the attention of that audience, you should consider reaching out to an SEO expert. An SEO expert is a great resource when you want to optimize your church’s website. An expert will help make your website the best it can be. Read on to learn why you need an SEO expert to optimize your site so that you can spread the word of your church online. A true SEO expert will have years of experience optimizing websites, and when you work with one, you can benefit from all of that hard work. You won’t have to spend resources trying to figure out what works for SEO and what is a waste of time. Instead, you can trust that the expert you’re working with will have the tools to make that determination for you. Working with an expert who has a strong background in SEO will allow you to avoid the trial and error period, and start immediately implementing solutions that work. How easy it is for a visitor to navigate your site? How pleasing is the display? How long does a user have to spend searching for the information they need? The better your user experience, the higher your ranking will be. An SEO expert has the tools to revamp your site so that it provides any visitor with the most user-friendly experience possible. That, in turn, will drive more visitors to your site in the first place. Too many organizations mistake SEO for being a do-it-yourself kind of project. But the truth is, SEO is more complicated than most of us realize. The algorithms a search engine uses can change without warning, and retooling your site so that it is ideally optimized is a time commitment. The staff at your church should spend their resources in the areas where they are already experts. Rather than wasting time and money trying to learn and implement SEO strategies yourself, rely on an SEO expert to get the job done as time-and-cost-efficiently as possible. There is an abundance of companies claiming to know SEO, but many of them take a “one-size-fits-all” approach when working with actual clients. A true mark of an SEO expert is that they offer an SEO blueprint that is tailored to your specific needs. At a firm like Dymic Digital, that starts with an analysis of your current site. Understanding what you already do well allows you to allocate resources to the aspects of your site that actually need improvement. You deserve an approach that is designed with your church in mind and not some generic plan that might not address your specific issues. Nothing is more important for site optimization than well-written, valuable content. SEO experts know that the days of stuffing your site full of keywords and hoping for improved rankings are long gone. Today, search engine algorithms are far more sophisticated and care about the quality of your site’s content. An expert can help you create the kind of content that not only boosts SEO rankings but also provides a genuine value for those who visit your site. SEO tools can make the job of optimizing your site easier and more effective. For your church to purchase each necessary tool on its own, however, could eat into a budget that you don’t have. The experts that work in SEO will have access to all of these tools already and be knowledgeable about how best to use them to optimize your site. Now that so many people are accessing sites through their smartphones, it’s important that your church’s website is optimized for mobile as well. That process is additional to optimizing your desktop site and can have its own set of complications and challenges. It would be a lot for your staff to handle on their own, but an expert who is well versed in SEO will be able to navigate your mobile optimization easily. That makes it easier for anyone to find your site, no matter the device they’re using. While your church might currently have a loyal base of attendants, finding new members could be essential to the future of your congregation. Church-goers of the younger, millennial generation are more likely than other demographics to find a new church online. Optimizing your site to improve its search engine ranking will help you attract the attention of that key demographic. Your social media pages are a great way for your church to communicate with members in real time, but they can also be used for SEO. An expert will be able to help you take advantage of your current social media resources to generate more interest — and more searches — for your church online. If you already have those pages, you should allow an expert to help you get the most out of them. SEO best practices are constantly changing, especially as search engine algorithms get more sophisticated. With everything else that your church’s staff has to focus on, staying updated on SEO trends is probably not a priority. SEO experts, on the other hand, will follow industry trends and best practices. They can adjust your site when necessary to attract as many new visitors as possible. 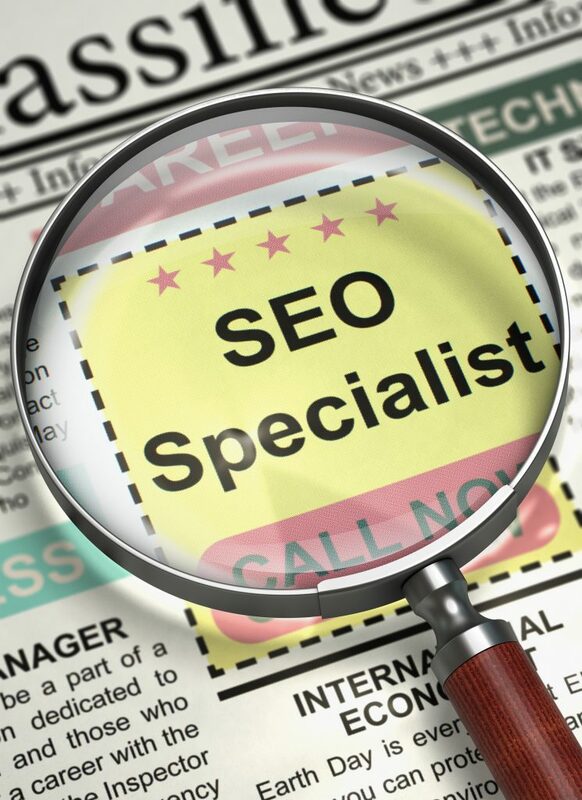 Ready to Work with an SEO Expert? The Internet has a way of making everything into a competition, and you want to be sure that the message of your Church can stand out in crowded space. Working with someone who is well-versed in SEO can help you generate more interest in your church and attract more visitors to your site. For more information on how to improve your church’s site, please contact us at any time.